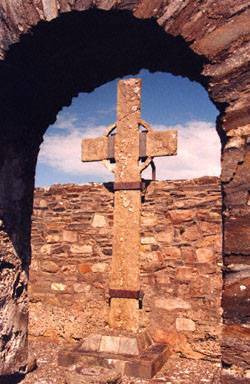 This giant stone cross, hewn from one solid piece, was destined for Tory Island, but never made the journey. See local history for the story. © 1999 Margaret Lavender. All rights reserved. Protected with Digimarc.